Avatars to suit your regular, everyday claw guy. Notes:I've recently gotten back into watching Frasier, a show that's likely as responsible for forming my sense of humor as anything Monty Python ever did, which is really saying something. I'm pleased to find that the show completely holds up, even some twenty years(!) later, and David Hyde Pierce's physical comedy in particular is really a sight to behold. 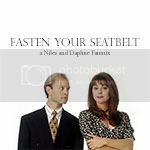 Frasier is also the source of one of my favorite television relationships of all time: Niles Crane and Daphne Moon. They were my OTP before I even knew what an OTP was, and when I saw that there wasn't a single fanmix dedicated to them, it seemed high time that something be done. I originally intended to use more contemporary music, but as I went about putting the playlist together, I found myself using more classic stuff; as a result, this mix is heavy on Frank Sinatra, Gene Kelly and the like. If the response to this is positive, I may do a second fanmix for Niles and Daphne using poppier stuff. Okay, so I'm going to blithely ignore how long I've, uh, ignored this LJ and instead go ahead and post the latest fanmix I've done. Crossposted to the usual places. If you like the icons, you're welcome to use them, just credit as appropriate. Notes: I've been on a huge M*A*S*H jag of late, and I decided to deal with it by cranking out a fanmix. It's a bit dark, looking at it now, but I've always found Hawkeye's character to be a bit dark, so I think it fits. The icons in the template below are all mine; if there's interest, I'll post them sans numbers on my personal LJ. I've only linked to a complete ZIP because I'm uploading this from China, and the internet speeds here are terrible; it just would've taken too long to do individual song files. So, it's been quite a while, huh? I haven't forgotten about this LJ, just haven't really had the time or creativity to actually use it lately. But I've been feeling a bit more creative of late, and I come bearing icons, so I figured I'd go ahead and post them up. I also need to do some housecleaning around here- I've switched hosting providers, so there are probably a lot of dead links floating around that need fixing, and I should really see about actually tagging posts so anyone who might be looking (even if it's just me) can actually, y'know, find stuff. This batch of icons are all from MST3K, most from the Space Mutiny episode. Really, I doubt there's much left to say that hasn't already been covered by other people with regard to the inauguration, but I felt like I should express my profound sense of relief at the end of the Bush administration. I think Richard Lewis said it very well in a recent interview with Keith Olbermann when he said, "I was always proud to be American, but these last eight years, I was hiding under my bed. But I'm out now!" As someone who spent a sizable chunk of the last eight years living abroad, I can't begin to describe how tough it's been to be an American overseas during the Bush administration. And in all honesty, I think it's a little more annoying to have to do all of the explaining and reasoning and, "Listen, we're really not as crazy as our government makes us look sometimes," when you didn't even vote for the guy. So yay for having a president that people overseas, at least for the moment, actually like. I'm not naïve enough to think that everything is going to magically change because Barack Obama's President (although Biden's ascension to the Vice Presidency might mean that people actually know that Delaware has a university- excitement!). I'm a little nervous that he's going to go so centrist in the name of "bipartisanship" that the policies he outlined during his campaign will be shunted to one side, and I won't be impressed if the torture and Geneva Convention violations of the previous administration are just brushed away in the name of "moving forward." But I think it's a huge step in the right direction, and if nothing else, Obama has gotten a huge number of people engaged in the political process who previously didn't care, and that's something to be proud of. Or, as Stephen Colbert just put it, "I feel like my heart is going to burst... because it's full of rainbows!" So I just downloaded a client to post to LJ straight from my (jailbroken) iPhone, and I thought I'd try it out. It's pretty bare bones at the moment, but if it works well,I bet more features could be added on in future versions. And since I find typing on my iPhone way less painful than it was on my previous cell (admittedly, not everyone agrees with me on that point), I may actually make use of this. So, I've severely neglected this LJ of late, mostly due to lack of time and inspiration. Working nine hours a day with a two-and-a-half hour commute thrown in on top doesn't leave a lot of time to, y'know, have a life. But I now have a new job, along with a fast, shiny new iMac, and it would have been remiss of me not to get on the ball and make a few icons and suchlike. I've been watching a lot of old movies recently, and I was inspired to do a Gene Kelly fanmix (because Gene Kelly? Trés hot. Oh, and talented. Ahem). Most of the icons here are sort of throwaways, but anyone who's interested is welcome to download them; just please comment to let me know what you're taking (so I can make more) and credit in keywords. 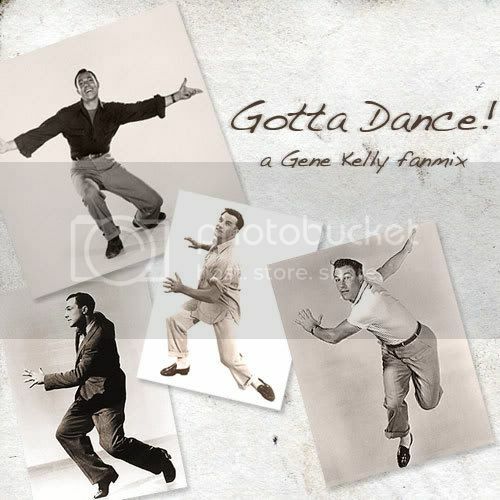 Please comment and let me know what you think of this; I opted to go with a mix of Kelly songs and songs by other artists, but I might be convinced to do a second fanmix at some point with solely Gene Kelly material. All of the download links and such are provided below. Hmmm... so having read most of the insanity going on around the latest bannings and complete lack of professional PR skills from the LJ staff, I have to ask whether any of the fine folks on my friends list might have a JournalFen account and would be willing to send me an invite or request an account on my behalf. I think I'm paid up for the next six months or so, so I don't anticipate fleeing immediately, but I'd like to get my ducks in a row to do so just in case things around LJ go further into the shitter. Um... we are still allowed to say "shitter," right? Or is LJ underage? Gah. My mind, it is blown. Just watched two great rugby matches today on the Six Nations coverage. Neither was technically spectacular, but in terms of having the match up in the air until the last possible second of play, both were phenomenal. Lots of tension and excitement, plus Ireland won (which makes me happy), and Wales are looking at the distinct possibility of a wooden spoon. Hilarious. As a spectator sport, I'm not sure rugby can be beat. Great stuff. It's a shame it's covered so little in the States; I feel like I've been missing out, not having had easy access to it all this time. Now if England can just pull out a miracle win against France tomorrow to force a draw in the standings with Ireland. That sends it to points scored, and I think the margin will be higher between Ireland and Italy than it will be between France and Scotland. Hopefully, anyway. This is so true. Heh. I actually do love watching football when it's a good, solid match and people aren't falling all over themselves diving. Unfortunately, the latter seems to have taken over the sport in the last couple of years, and it's harder and harder to find games where that kind of crap doesn't happen. Plus there's the constant arguing with referees, trash talking... give me rugby any day of the week.